Many months back the visual novel developer Visual Art’s brought up a plan to finance an anime project for Kud Wafter, a spin-off from the Little Busters! series focused around the character Kudryavka “Kud” Noumi. Now fast-forward to present time and that plan has begun! 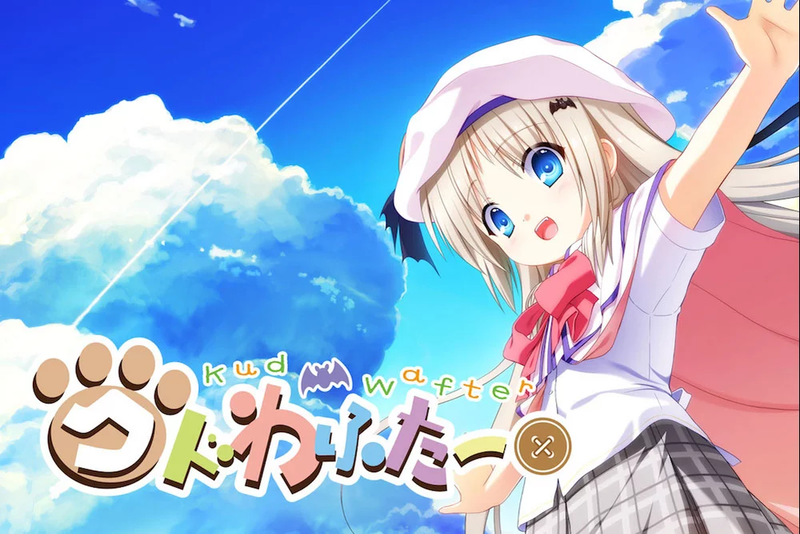 Visual Art’s and Key have collaborated with studio J.C.Staff to produce an anime movie adaptation of Kud Wafter by launching a crowd-funding campaign. The Japanese version has been completed, but now they’re campaigning for a version to support the English international market! To make it easier to navigate we’re going to first mention the main details of the crowd-funding campaign. For starters, here is a link to the crowd-funding page for anyone interested! As mentioned Visual Art’s & Key completed the crowdfunding for the Japanese version of the anime in late-September 2017, so this campaign is about offering an English translation of the Japanese version for the English international audience featuring the same tiers as Japan including the rarer items that already sold out previously. Next is the length of the campaign. The campaign launched on Tuesday 24th October 2017 and will be continue for another 49 days when this article is published, which is estimated to be around Thursday 14th December 2017 so there’s enough time to donate towards the project. The main goal is to earn ¥3,000,000 which will offer an English translation for the film. A stretch goal is also stated with an aim of ¥15,000,000 to extend the length time to 60 minutes total (aka 1 hour). 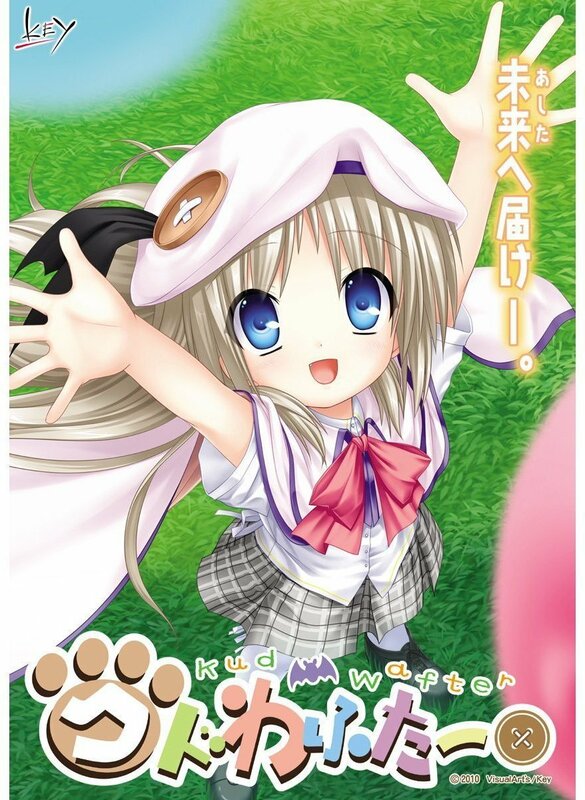 Kud Wafter is the name of the spin-off game released in 2010 focusing on the character Kudryavka “Kud” Noumi. 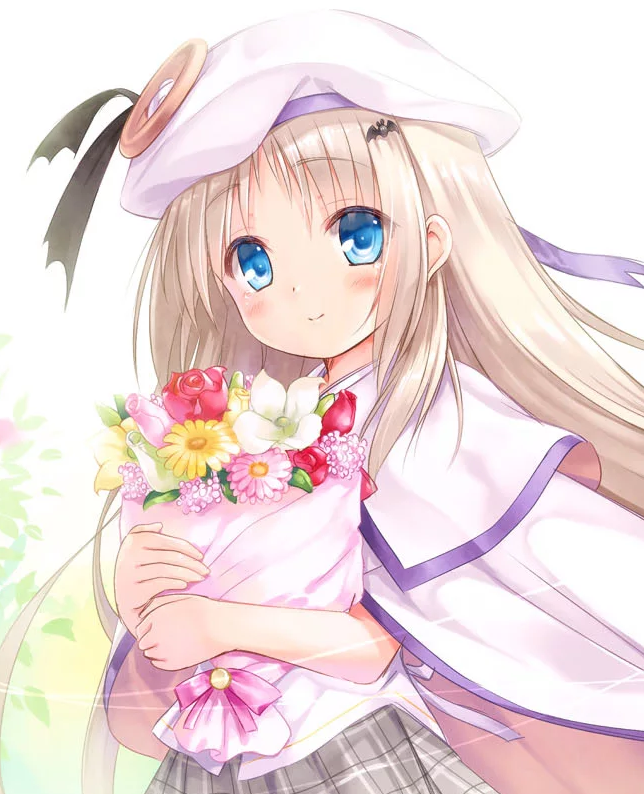 Kud became a fan-favourite in the Little Busters! visual novel series when it was released back in 2007 on the PC, which is also celebrating its 10th anniversary this year (speaking of which, the English version of Little Busters! is coming to Steam on November 1st). Key is the game maker behind Little Busters! and has worked on a ton of well-known critically acclaimed visual novels including Air, Kanon, Clannad, Rewrite, Planetarian and Harmonia. Visual Art’s is the publisher of Key’s respective titles. Welcome to the alternate version of Little Busters! The field trip ended without incident, and Kudryavka Noumi and Riki Naoe are now a couple. Thus begins Riki’s summer with Kud, which brings them all sorts of new missions. What impact will these experiences leave on them…? J.C.Staff will be the anime studio adapting Kud Wafter. The studio also worked on the anime adaptation of Little Busters! and have worked on many other anime projects including A Certain Magical Index, Food Wars! Shokugeki no Soma and also the upcoming second season of One Punch Man. There are a lot of tiers Kud Wafter will be offering in this campaign, but we’ll be listing a select few here. The tiers are all displayed in Japanese Yen so conversion rates will fluctuate so keep an eye on your local currency to know how much you’ll need to spend. Each tier is listed from A to K and prices are stated to include shipping costs. A tier is the cheapest at ¥3,800, offering the anime’s theme song and soundtrack in CD form and a ‘visualstyle’ special booklet. This tier does not include the Blu-ray. F tier offers the anime on Blu-ray at ¥7,400 plus all of the contents of the A tier. That’s all of the information we want to share about Kud Wafter! If you would like to support the campaign here’s the link to the main page which also covers the rest of the tiers available as well as any information you would like to know in their FAQ section. Feel free to also follow Visual Art’s on social media including Facebook and Twitter for any updates they may have for the title. Seasons 1 & 2 of the Little Busters! Anime Adaptation are available to stream legally on both Crunchyroll (subbed) and on HIDIVE (Season 1 dubbed & subbed, Season 2 dubbed & subbed). It is also available on home video from distributors Hanabee, MVM Entertainment, and Sentai Filmworks. Little Busters Refrain does a fantastic job of capping off Season One with an emotional finale that won’t leave a dry eye in the house. After a brilliant second season, the third and final entry into the Little Busters franchise ends on a whimper rather than a bang.